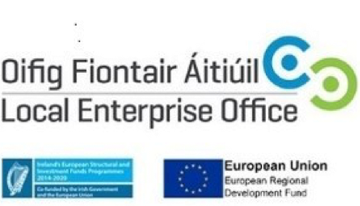 The aim of this professional development programme is to provide owner managers of small businesses in all Dublin Local Enterprise Offices (LEO): Dublin City, South Dublin, Fingal and Dun Laoghaire Rathdown with the management, leadership, business skills and knowledge to achieve sustainability and growth in your business. Accelerate is aimed at businesses who have been operating for 18 months or more, and will help participants to address business challenges directly which in turn will lead to business growth and development. Gain an understanding of why they are in business and where the business is going. Develop themselves and their entrepreneurial capabilities. Improve their sales and sales techniques. Establish their business needs and develop a pathway to address these. Each participant will be allocated a mentor as part of the programme. An integral part of the programme allows the participants an opportunity for idea exchange. Continual progress will be reviewed by all of the members of the group. The programme will be delivered over a 6-9 month time-frame, and will comprise of 6 workshops and 6 mentor meetings. The cost is €400 per person which includes all tuition, course materials and the overnight residential.